As the New Year settles in, I’m following through on my creative intentions, to reach out, connect and share ideas. 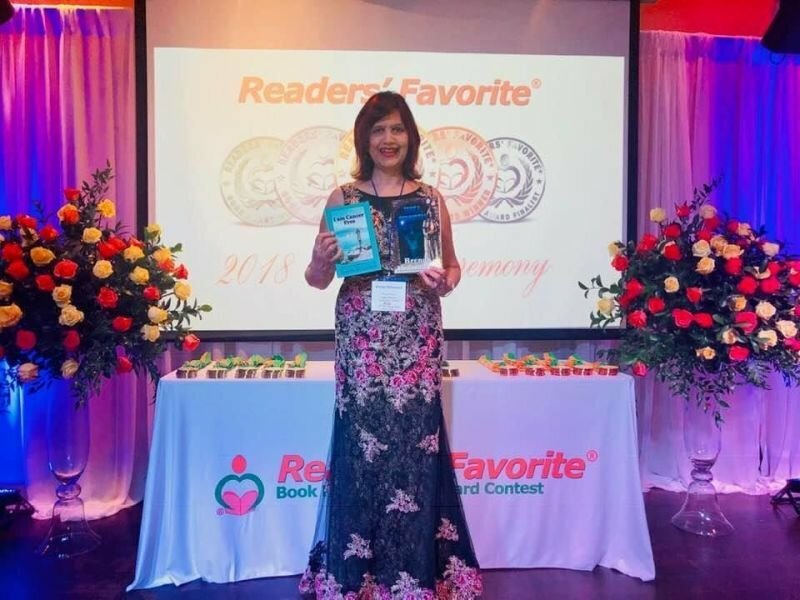 Today on the blog we have the inspirational Brenda Mohammed, prolific, Trinidadian author of 21 publications, including the non-fiction book, How to Write For Success, a valuable advice book on achieving your personal best as a writer. Brenda is also an award-winning author of Zeeka Chronicles, Young adult thriller, and I am Cancer Free in the category Health and Fitness. As a cancer survivor, banker, and writer, Brenda heads the ever growing How to Write for Success Group on Facebook for new and aspiring writers. Learn more about Brenda Mohammed’s journey as a writer. Trinidadian Brenda Mohammed is a renowned, multi-genre, award-winning author and poet who has written twenty-one books to date. She is a former Bank Manager of a leading International Bank in Trinidad and Tobago. She holds a Diploma in Banking from Institute of Bankers in London. When she branched off into Insurance she obtained a Diploma in Life Underwriting from the American College, USA. She is also Vice-Chancellor of Motivational Strips Academy of Literary Excellence and Wisdom. On 29th December 2018, Brenda was awarded the World Laureate in Literature 2018 by World Nations Writers Union and on 30th December 2018, she received a Global Literature Guardian Award from the Founder of Motivational Strips and its Associates, World Nations Writers’ Union, and Union Hispanomundial de Escritores. Becoming an author was not on my agenda. My plans changed drastically when in 2005 I was faced with a life-changing situation. Diagnosed with cancer and living to tell my story inspired me to help others afflicted with the disease to cope. I documented my heart-wrenching experience of being diagnosed with ovarian cancer and my long and painful journey to overcoming the death sentence. In time, the essays transitioned into a book, I am Cancer Free: A Memoir, that tells my true story of a cancer survivor. The book was published on June 3rd, 2013, and was available on digital stores worldwide. It had been read by so many people that it won the McGrath House Indie Book Awards 2016 in the non-fiction category. It also earned a five-star review and five-star seal in February 2017 from Readers' Favorite and won an award in the Readers' Favorite International Book Awards 2018 in the health and fitness category. Encouraged by the rave reviews, I went on to write six fascinating memoirs, a five-book science fiction series, two children's books, four books of short stories, one self-help book, How to Write for Success, and two crime fiction books, and one book of poetry. The science-fiction futuristic thriller series Zeeka Chronicles: Revenge of Zeeka also won an award for Best Science Fiction in September 2017 from Metamorph Publishing Summer Indie Book Awards, a five-star rating and five-star seal from Readers' Favorite, the gold award in the category science fiction in Emagazine Readers’ Choice Awards 2018 and placed in the top ten in the Author Academy Awards. It also won the young adult thriller category in the Readers' Favorite International Book Awards 2018. Of my other books, My Life as a Banker, was awarded for Best Bio/Memoir in Metamorph Publishing Summer Indie Awards 2016 and Your Time is Now, which contains a section of inspirational poems, received the IHIBRP 5 Star Recommended Read Award Badge. Words from my brother David V. Khan before he died: “Your book makes very pleasant reading, and your literary expression is superb and easy to follow. You have an excellent talent, and you should follow up on a leisurely basis with perhaps publishing a book of short stories. With fiction, you will have greater opportunity to use your imagination and your undoubted descriptive ability. You used the word “fantasize” to create a situation. This is an outstanding quality, which you should continue to use because it is imagination, which disposes of everything, coming from within you. My Father, Dr. Andrew M. Khan [ Deceased] – A great Educator in Trinidad and Tobago. My Brother, Justice Addison M. Khan [Deceased] – Former President of the Industrial Court in Trinidad and Tobago. He wrote several law books which are being used in schools and Universities. He won a National Award from the Government of Trinidad and Tobago for meritorious service. My Brother, David V. Khan [ Deceased]– Acting Comptroller of Customs and Excise in Trinidad and Tobago. He loved Literature and encouraged me to write. My Husband Rashiff Mohammed, a former Bank Manager and Executive in a car firm – Although he has only read one book I wrote on my father’s memoirs, he has been very supportive of all my careers – Banking, Insurance, and Writing. He was my rock when Cancer struck. Wherever my writing takes me. How to Write for Success is recommended reading for admission to Motivational Strips Academy of Literary Excellence and Wisdom of which Brenda is a Vice-Chancellor. Brenda is selfless in her inspiration of aspiring authors in that anything is possible with commitment and the humility, to accept that as writers, we too, are a work in progress. With gratitude to Brenda for sharing her author journey.